Written by Carson Ting. Posted on March 14, 2019. Filed under Blogging. Tagged aiken, internship, studio, stuidio manager. Comments Off on From lost Intern to full time studio manager in 9 months.. Early last year, we decided to get an intern to help us all out at the studio. 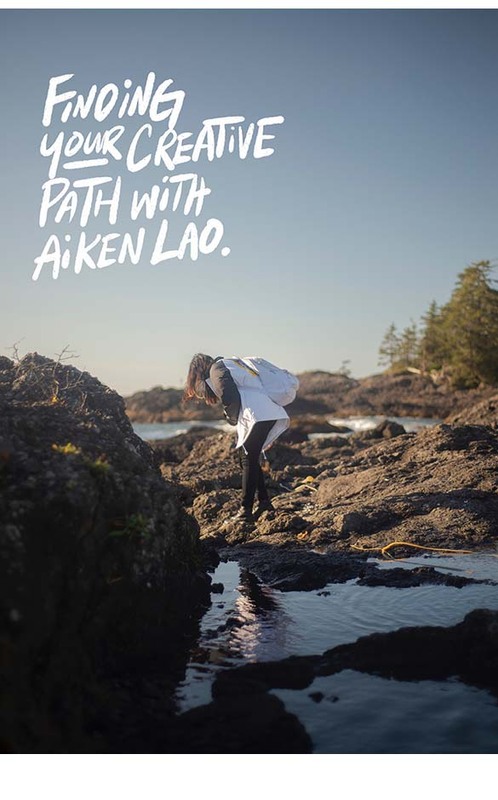 After we put out a call on Instagram, we had a few inquiries but one stood out and it was from a UBC Sauder business student named Aiken Lao. Although she was a business student from UBC, she had a real strong interest for creativity. She was a rare breed. A business student with a visual arts portfolio, showcasing her illustration, photography and design work. The diversity in her work made her an ideal candidate as she was able to help all three of us out at the studio. With Hubert Kang, a photographer, Annie Chen, a surface designer and myself an illustrator and art director. She was a rising triple threat with an opportunity to be able to sample all three disciplines under one roof. It’s sort of like getting whisky flights but for jobs without the hangover. Over the course of just a few months, Aiken proved to be a real asset at the studio by helping out on photoshoots, painting murals, drawing storyboards, designing logos, researching visual references, attending client meetings and even taking the most detailed notes in lightning speed. It wasn’t long before we decided to raise her rates for the remainder of the year until she graduated in December of 2018. Interestingly, Aiken’s parents were never a fan of the idea of her pursuing a creative career. Although she initially applied to Emily Carr, she ultimately chose UBC’s Sauder School of Business to please her parents. Fast forward to post-graduation, Hubert Kang, and I decided to offer her a one-year full-time contract gig at the studio to become our Studio Manager. She now oversees our projects, manages our workflow and helping out with a variety of tasks such as running the retail store and doing actual work like drawing storyboards, designing logos, painting murals and much more. When Aiken first started, she had no clue how the creative community worked but she’s now a little less lost (we hope) and is now convinced that artists don’t need to fit the ‘starving artist’ stereotype to make a creative career work. Personally, I was lucky enough to kick start my own career in advertising as an art director for almost 2 decades which helped me get exposed to countless artists, musicians, photographers, animators, writers and more. Over this time, I saw budgets, managed artists, supervised shoots, managed creative teams, worked with countless directors on tv shoots and it was through this experience that I learned how to now run my own art and design studio.